Pittsburgh, PA. (2/2/2017). For Immediate Release. UPDATE: THE GATTI STUDY AS ORIGINALLY PUBLISHED. In a remarkable study with potentially immediate and earth-shattering effects on the vaccine industry and the regulatory agencies that oversee their safety, researchers are the National Council of Research of Italy and the International Clean Water Institute, USA have found extensive and inexplicable widespread contamination of vaccines with particles that, according to the authors of the study, clearly should not be present. These particles and aggregates appear in vaccines with aluminum hydroxide amounts ranging up to 850 micrograms per dose (CFR/FDA limit per dose, regardless somehow of body weight of the recipient). These findings come at time when vaccines are under increasing attack for their likely role in sudden-onset and long-term disorders, including autism, ADHD. HPV vaccines have been linked to Guillan-Barre syndrome, premature ovarian failure (sterility). There is also now a consistent pattern of reports of contamination of vaccines with unwanted viruses and retroviruses, residue from human and pig tissues, and pathogens like bacteria. And while ongoing controversies surround both the vaccine safety science, the US District Court (Eastern Pennsylvania) is reviewing allegations that Merck spiked human serum samples with rabbit antibodies to increase the apparent efficacy of their MMR vaccine to avoid entry of competitor’s vaccines into the market. While the concentrations of each contaminant were not reported for each vaccine, the authors are certain that no contaminants of this type should be present in any vaccine. In fact, in the one veterinary vaccine tested, the results came back clean – no particulates, aggregates, clusters, metals, or red blood cells. 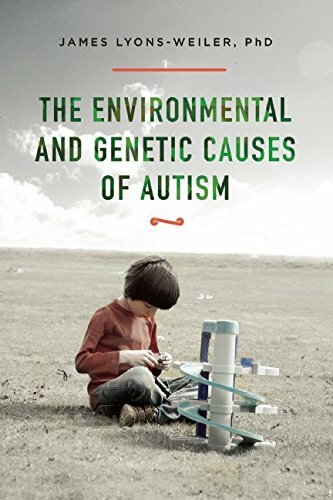 Lead author Dr. Antonietta Gatti was kind enough to engage Dr. James Lyons-Weiler, CEO of the Institute for Pure and Applied Knowledge (ipaknowledge.org), and author of “The Environmental and Genetic Causes of Autism (Skyhorse, 2016)” in an interview on their study. JLW: Your study has remarkable finding that could have, and some say should have, profound and immediate impact on public health policies around the globe. What was your motivation for the study? AG: In fact, we did not have any motivation, at least at the beginning. Our analyses on vaccines started by accident about fifteen years ago when the university hospital of Mainz (Germany) asked us to analyze samples of an anti-allergy vaccine they administered. Their problem was the formation of painful swellings around the injection point, and those wheals would not go away. JLW: What did you find? AG: With our electron-microscope technique we analyzed the samples of both vaccines and wheals and found solid particles inside both of them. Those particles should not have been there. JLW: What were you most surprised to find? AG: We had never questioned the purity of vaccines before. In fact, for us the problem did not even exist. All injectable solutions had to be perfectly pure and that was an act of faith on which it sounded impossible to have doubts. For that reason, we repeated our analyses several times to be certain. In the end, we accepted the evidence. JLW: What is the medical significance of finding aggregates and clusters in the vaccines you studied? AG: Certainly the particles, be they isolated, aggregated or clustered, are not supposed to be there. They are foreign bodies our tissues can’t recognize and, because of that, they are perceived as potential enemies. The biological reactions are expected to be fairly complicated, with macrophages that try to engulf them the way they do normally with bacteria and parasites. Unfortunately, though, the particles we found then and keep finding now in vaccines are not biodegradable. So, all macrophages’ efforts are useless and, also depending on the chemical elements involved, the particles may be especially toxic. Cytokines and pro-inflammatory substances in general are released and a granulation tissue forms enveloping the particles. This involves inflammation, and, in the long run, such a chronic condition can lead to cancer. In the case of vaccines, besides the local problem we checked for Mainz, there are three more possibilities: one, the most likely, is that those particles spread throughout the body and, because of their small quantity in such a comparatively huge volume, they don’t immediately trigger any clinically visible reaction. The next, certainly rarer, possibility is that they are carried by the blood and move to the central nervous system and, more in particular, to some of the different compartments of the brain. Depending on the point they reach, the reaction is obviously different. So, conditions like, among others, autism are impossible to rule out a priori. The last possibility is that particles or other contaminants reach the microbiota. In that case, unlike what happens with the brain whose reactions become visible in a few hours, nothing can be seen before weeks or a few months. The bacteria that form our microbiota are essential to synthesize enzymes, many of which are indispensable for the proper functioning of some of the numerous activities of the brain. If that is the case, that production can be wrong and the chemistry of the enzymes be not what it should be. The supply of enzymes containing, for instance, mercury or other pollutants takes time to be delivered and that’s why the reaction is not immediately detectable. 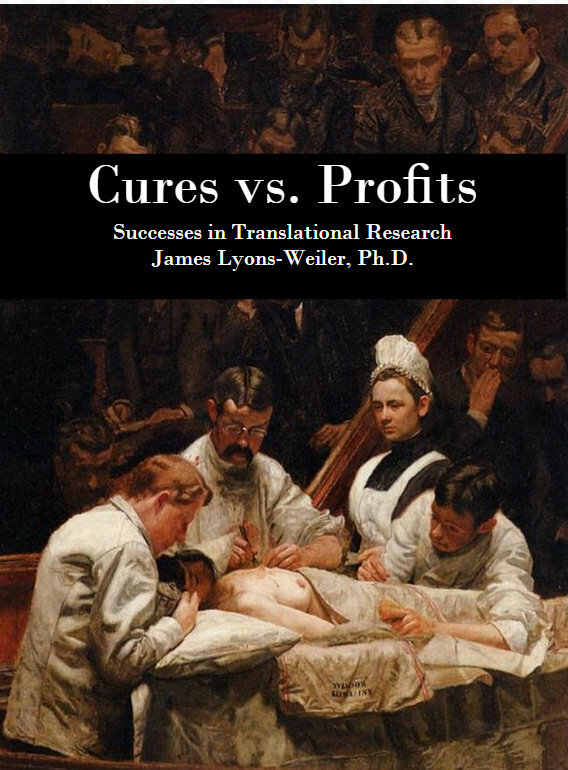 JLW: Who funded the study? AG: Besides for very rare cases where groups of citizens have approach us to analyze samples, and, once, a prosecutor’s office repaid our expenses, we put our own money into this research. JLW: How do you suppose those substances got into the vaccines? AG: That’s a question we can’t answer. The only way would be to be able to inspect the laboratories where vaccines are produced, but no pharmaceutical company would allow us. Generally speaking, GMP, i.e. the procedures of good manufacturing practice those laboratories are obliged to follow, are focused on organic and biological matter, but disregard inorganic particulate. JLW: Can you tell us why you think it looks like a mixture of residues from “burnt waste”? AG: When you burn waste, the particles produced are made of different substances that are rarely seen in combination. In some cases, unusual mixtures of different elements are simply due to chance, depending on the atoms or small molecules that come mutually in touch, and, at least in a number of circumstances we keep coming across, particles with an odd composition is what is present also in vaccines. That does not mean that the origin is the same. JLW: Is there any reason why government agencies do not routinely perform such screening? AG: An embarrassing question. Do you mind if I don’t answer? JLW: Correct me if I’m wrong, but you reported that the veterinarian animal vaccine was clean, but the human vaccines are contaminated. Why do you think this is so? AG: As a matter of fact, Feligen, the only vaccine for veterinary use we analyzed, proved to be free from particles. I have no explanation for that. The only thing I can say is that it is evidently possible to produce a clean vaccine. JLW: What do you say to people who are concerned that you didn’t run any “control” samples? AG: I wonder how they can say that. Of course I did. JLW: Do you think the aluminum levels in pediatric vaccines are safe? AG: Aluminum is notoriously toxic. Babies are probably more likely to be affected by levels of aluminum seen in vaccine, but aluminum is unsafe in any case. JLW: What must be done about this? AG: From my point of view, which is a merely technical one, it’s easy: you learn how to check vaccines, you are properly taught to understand what you see and you forbid polluted vaccines to be distributed. This would immediately ensure that producers take appropriate counter-measures, for example by working in a truly clean environment and by carrying out their analyses the way that should be done. JLW: Is there anything else you would like the general public to know? AG: The only things I can say is be properly informed and always ask for the evidence of what you hear say. Always read the leaflets that are mandatorily contained in the vaccine packaging and that the doctor is obliged to make you read. Always pose all the questions that you feel like posing, and do not be satisfied if they do not really respond to everything you want to know. Never make acts of faith and never trust who do. Don’t ever give your health, and the health of your children, to anyone. What It is Like to Have Your First Amendment Rights Restored? Thank you for sending this link, which I have sent to FB and Twitter. I have been fairly active in getting the message about vaccines out, but in the last few days have redoubled my efforts because I am incensed by the pro-vaccine army. I live in UK and have tickets for the Vaxxed premiere, and the lies that are being told in media and social media are mind-blowing. Your input is totally invaluable and I thank you SO much. Many of us are not scientific, although we pick up the gist of things, and your articles helps with the scientific authority we need. No thanks. There are some who would claim that polonium-210 would be fine, and no cause for alarm, if it were found in vaccines. That includes the website you cited. They have excluded themselves from rational discourse. People here linking to Skeptical Raptor, and Science blogs? Both are well known industry shill sites. That’s like me linking to Natural News site. Here is another one to worry about. -https://www.frontiersin.org/articles/10.3389/fpsyt.2017.00003/full I am not saying don’t take vaccines, but I sure would not take more than needed, which is all the newer ones. The flu shot should be the first to go. Skeptical Raptor is none other than Dr. Paul Offit, chief salesman for the vaccine industry. He is well known for making wild, scientifically inaccurate and dangerous claims, such as that aluminum is a nutrient. While very abundant in Earth’s crustal rocks, it did not exist as free aluminum, or the aluminum salts used in vaccines until the late 19th century, when a smelting process was developed. How did we evolve over millions of years without this vital nutrient? The authors claim they used controls but there is no evidence of that in the study. How do you explain that? No. Another ATTEMPT at “debunking”. And rather poor one at that. I was using hyperbole to explain how those publishing at skeptical raptor and at scienceblogs seem to never be able to find any characteristics of vaccines they don’t like, no matter how dangerous. I don’t think that is true. SR and Orac both know and accept that several vaccines have been removed from market, due to various issues. They respect that fact. And they respect that people can, indeed, suffer vaccine injury but they don’t accept that vaccines cause the litany of issues you think they do. Dismissing them outright seems irrational. This should call for an immediate moratorium on all vaccination. We should be sending emails and letters, and making calls to the White House. Truly horrifying. By the way, no point in engaging trolls (like Jane). I would like to know if other IV solutions have been tested for purity. Dr Gatti expects that all solutions should be pure but what is the standard? What other drugs and solutions have been tested for nanoparticles and what is the toxicity for dosage? Also, I would like to see this replicated by someone else, to check validity. It leaves me speechless. How can we even think, in any way, of giving vaccines especially of this low quality, to babies- defenseless babies who are only a few hours old when they start receiving this junk straight into their blood stream?? then we wonder why this generation is the sickest? huge increases in autism, auto immune diseases etc etc. This doctor Gatti is married to another famous researcher Dr Montinari. Both of them are often called on to ‘investigate’ substances and vaccines. Even though this study clearly shows there is AT THE VERY LEAST reason for concern and follow up, the governments and people prefer to put their heads into the sand and do everything to keep this info as quiet as possible and shut down researchers like these as much as possible. It’s become one big corrupt business and I don’t know how people promoting these things sleep at night. Just because we diagnose autism more doesn’t mean it is new. Please refer to my post entitled there is no autism epidemic. You should refer to the studies that show there is no way that the increase is autism is even close to being explained by changes in, or “better” diagnosis. This misinformation is evidenced everywhere across America and in other countries that have widespread vaccine use. My question is why is vaccinesworkblog can still defend vaccines?. How can anyone is this day and age do so? Listen to the stories of parents…kid in great shape, passing milestones, thriving–gets shots: goes downhill. A moratorium indeed.